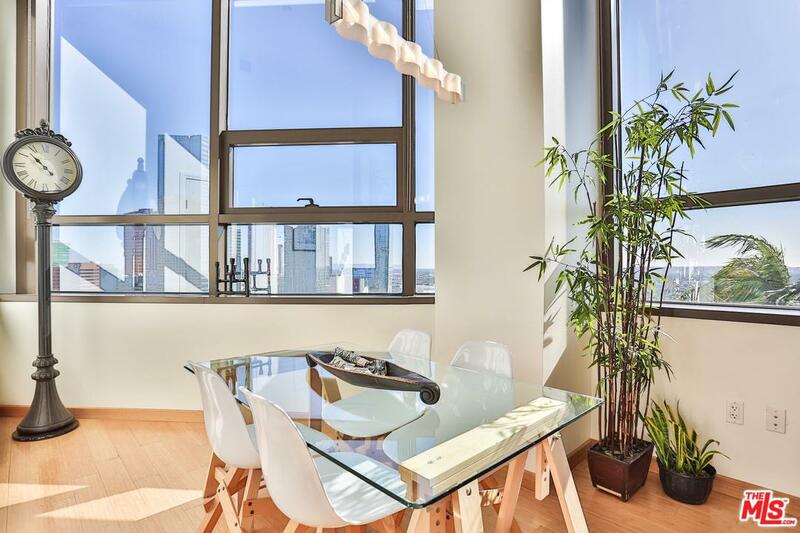 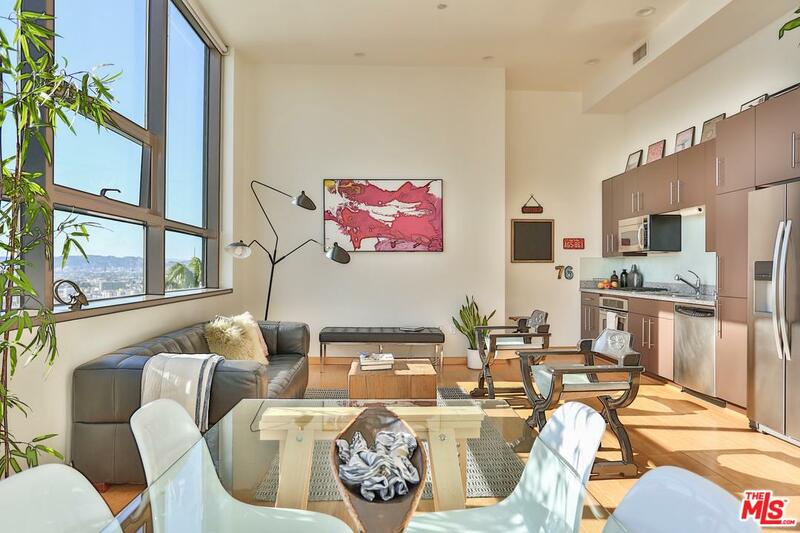 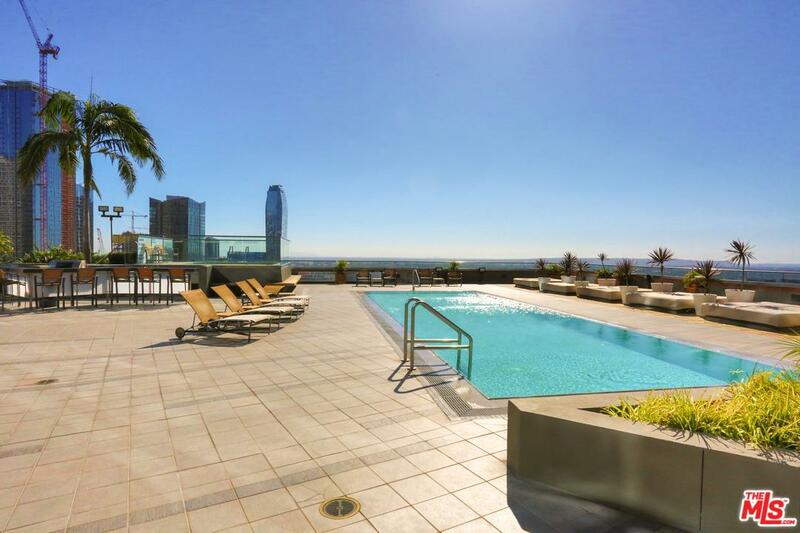 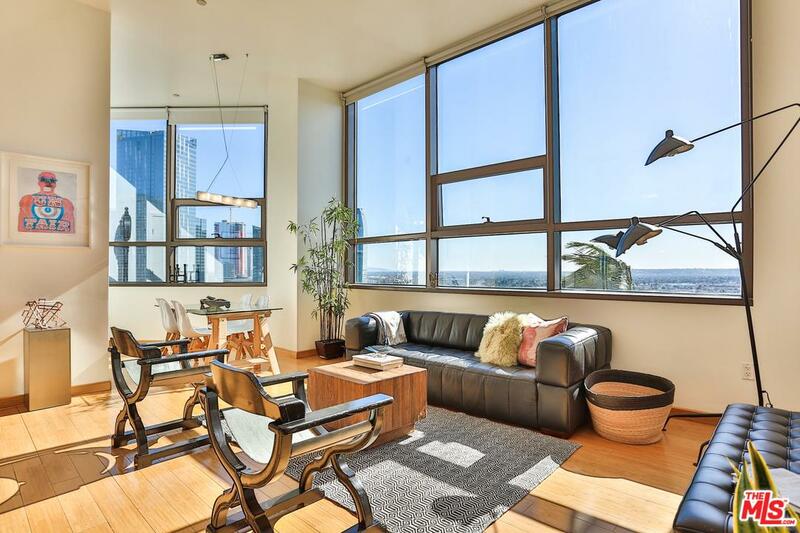 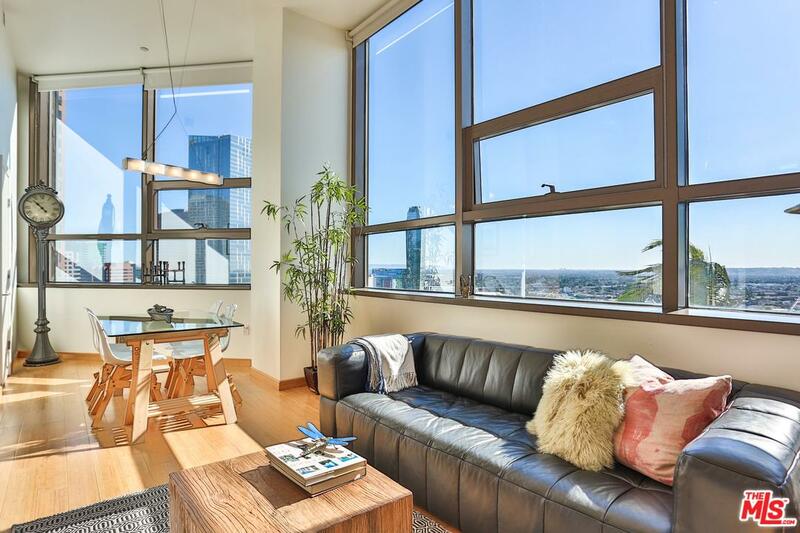 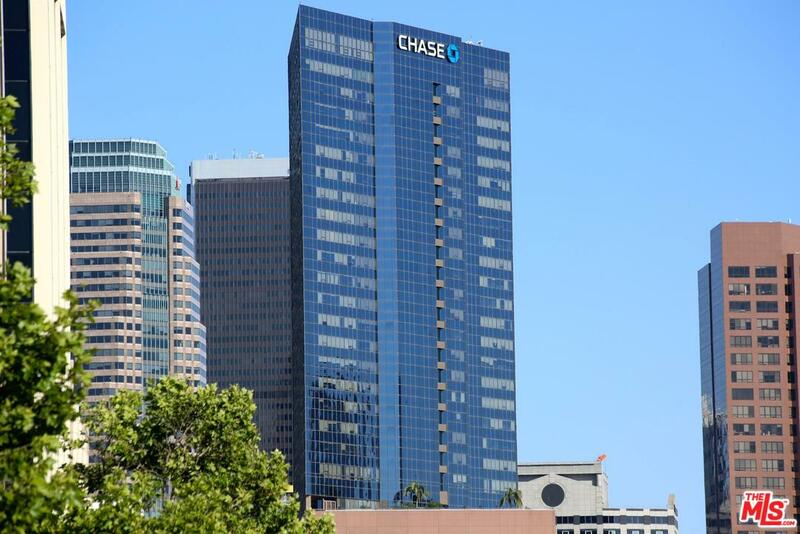 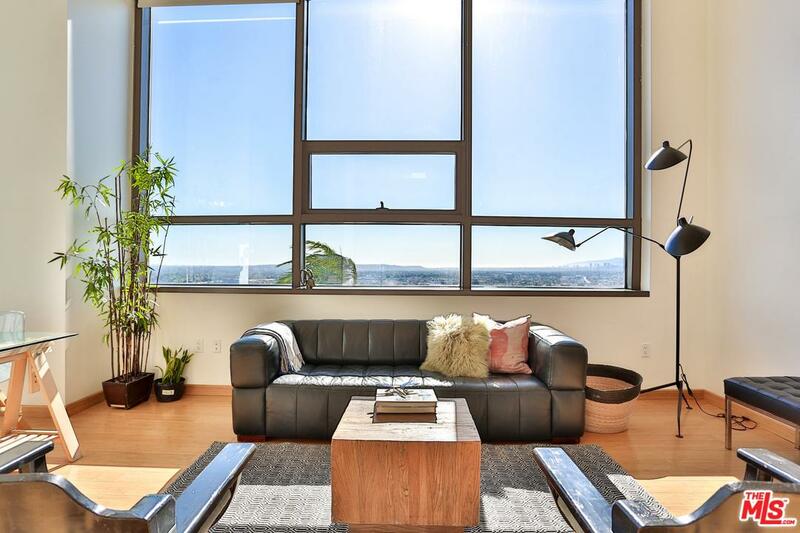 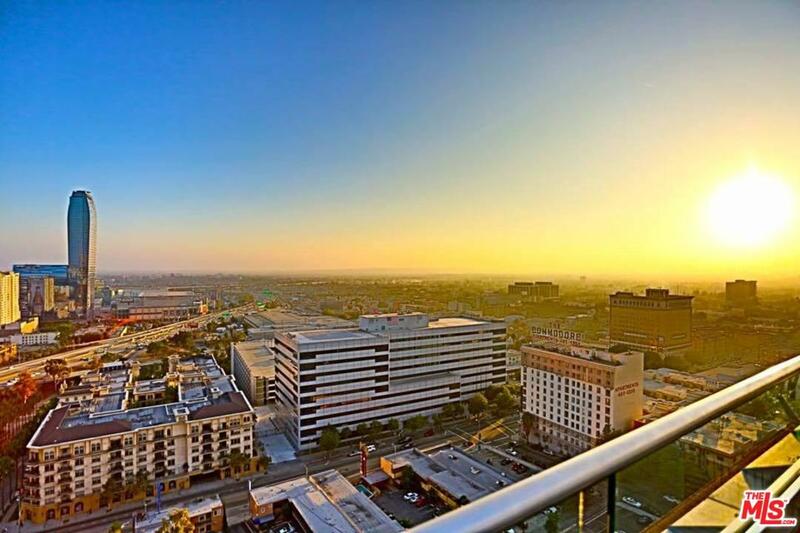 Bright and sophisticated loft style condo with spectacular city views of the Staples Center, LA Live, and the westside. 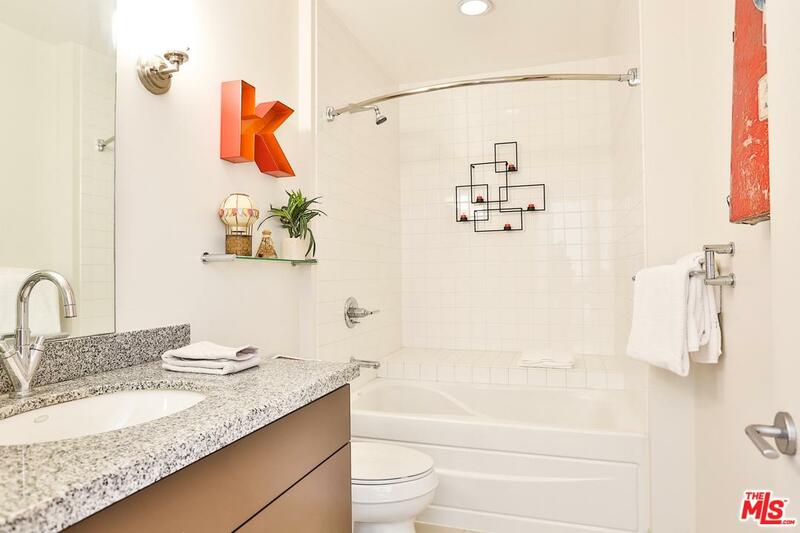 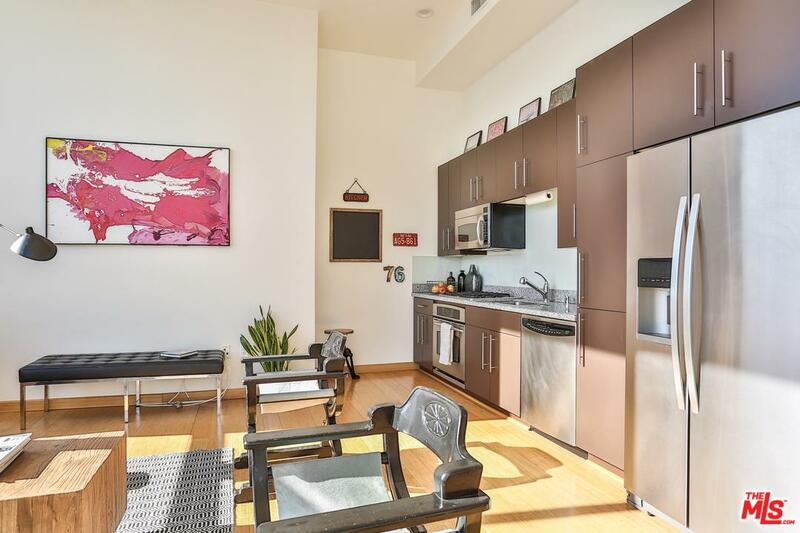 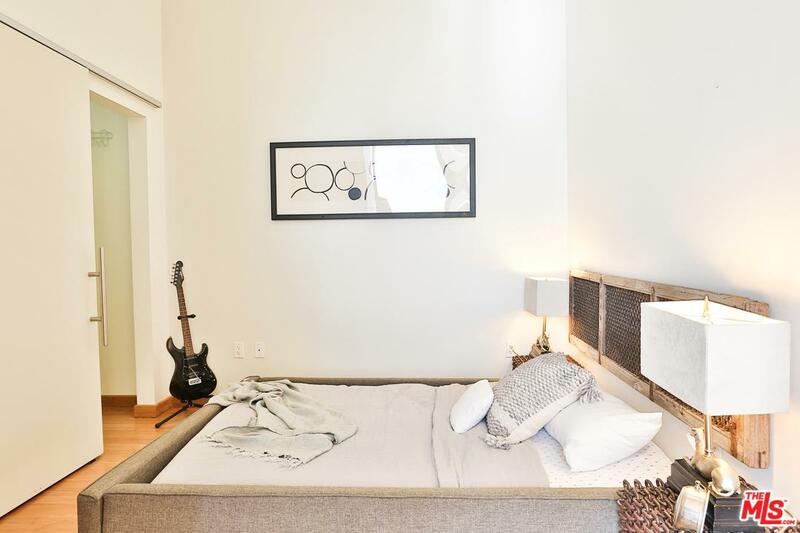 The unit has high ceilings, bamboo floors, and the kitchen is upgraded with European style cabinetry, granite counter tops, and stainless steel appliances. 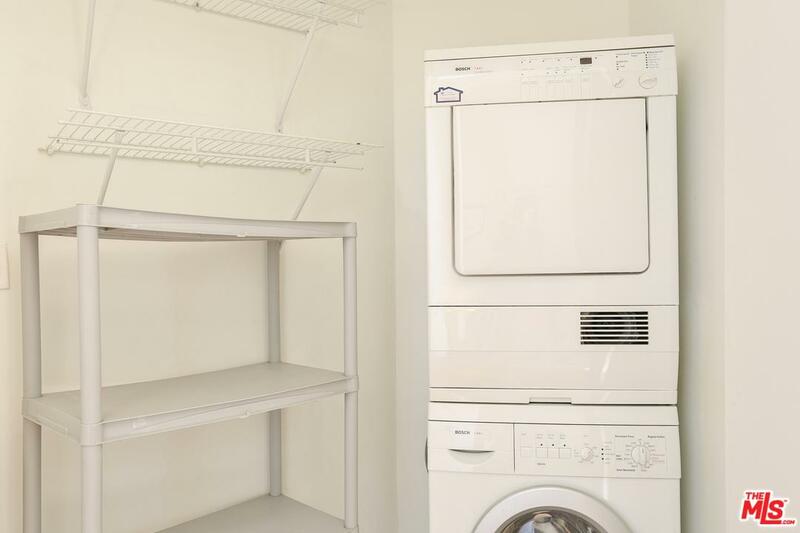 Other features include an in unit washer and dryer and 2 parking spaces. 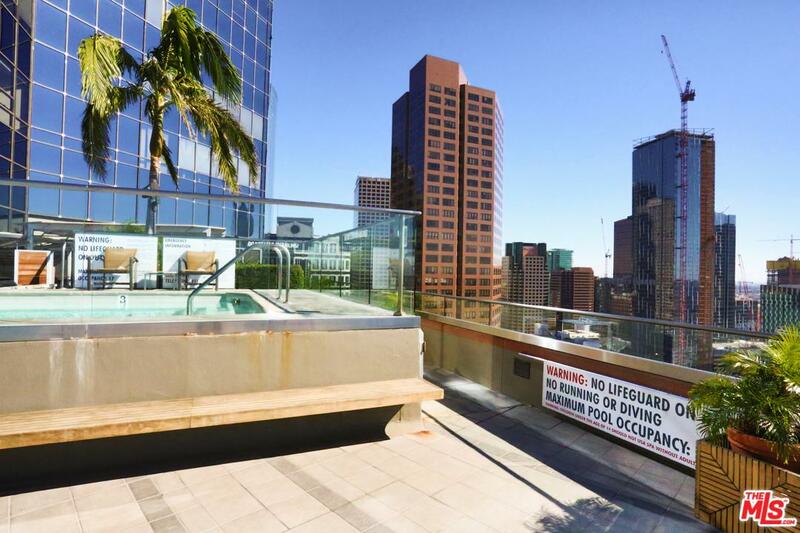 Building amenities include a 24 hr front desk attendant and controlled access, 17th floor heated infinity pool and sun deck, spa, cabanas and lounge beds, BBQ areas, fire pit, screening room, fitness center, business center, and on-site professional management. 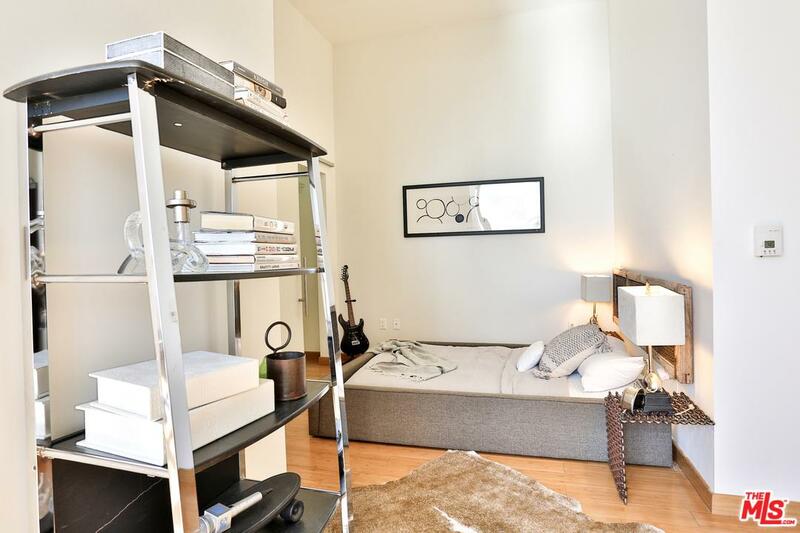 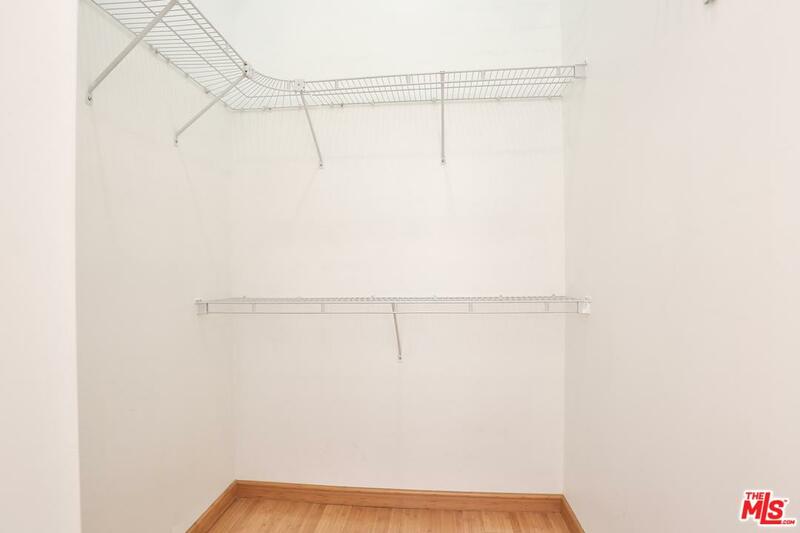 Building allows 2 domestic pets per unit and requires rentals to be a minimum of 30 days.